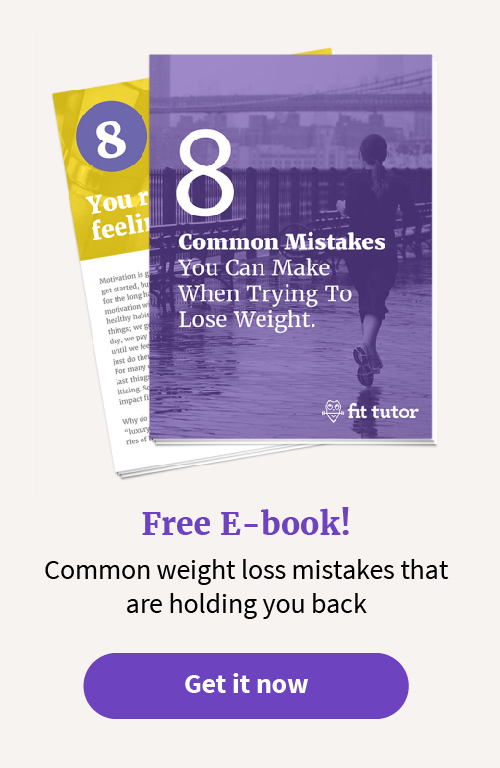 Do you ever get overwhelmed by all the weight loss tips and health advice out there? I’ve waded through a lot of it, and I’ll tell ya, most of it is overrated. People tend to major in the minors and sweat the small stuff repeatedly when it comes to their health and fitness. Does drinking apple cider vinegar and cinnamon increase your metabolism? Will parking farther away from the grocery store help you fit into your favorite jeans? Will eating spicy foods get you the abs you’ve always coveted? Maybe. 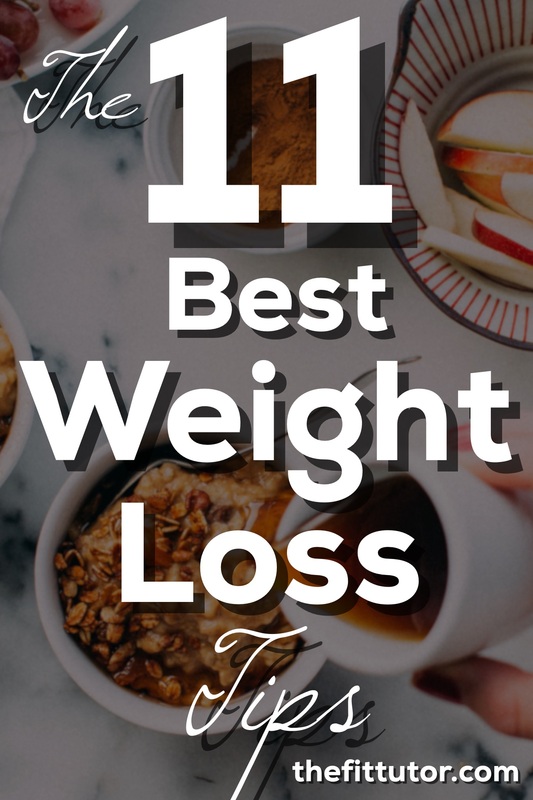 This type of advice can help you on your weight loss journey, but you’re wasting your time if you’re not doing the things mentioned in this post too! People are always asking me for weight loss advice or telling me about the new exciting trend that they will stick with for approximately 36 hours. I tend to get excited over just about anything (that’s not dangerous) that gets people excited about their own health. However, I often get a feeling in my gut wishing they would just try some of my suggestions (which are based on solid research!) to help get them the results they crave. This is my personal list, and it works. You can do with it what you wish, but I wouldn’t share this if I didn’t believe in it. Like I said, it’s based on research as well as what I’ve grown to love and has helped me in my own fitness journey! 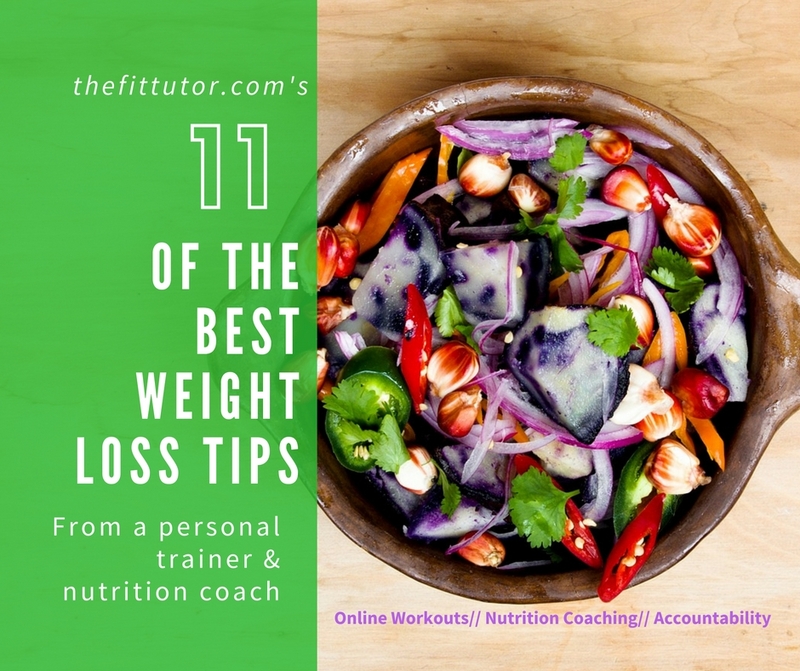 If you’ve tried to lose weight over and over again, if you find yourself pinning or trying every “weight loss secret” out there, or if you’ve spent a lot of money on supplements only to be disappointed, then these are worth your time. What do you have to lose? Oh yeah, that pesky weight we mentioned earlier! Here are 11 things I swear by, in no particular order! Start with the one that’s easiest to implement, and then work your way through this list. OK, so I’m no crossfitter or Olympic lifter, but that doesn’t mean I can’t lift weights that are heavy for me! The average woman benefits greatly by putting her tiny dumbbells down and picking up something heavier. A rule of thumb I live by is if 15-20 reps with a particular weight isn’t hard, I increase my weight. A set of adjustable dumbbells was a game changer for my at-home workouts. Do I still use 5 pound weights? Totally. But I’ve increased where I can and have reaped only benefits. The more muscle you have, the higher your metabolism is. The higher your metabolism, the more your body works for you during the day to help you lose weight and reach your goals. As your body repairs your muscles after lifting, your metabolism can be increased for a day or more after! And since women who don’t strength train lose 3-5 pounds of muscle per decade after 30, lifting weights will have a significant impact on your weight loss. Let’s say you lose 3 pounds of muscle, which may burn about 18 calories per day. After one month that’s over 500 calories that you could have burned! 18 doesn’t seem like a lot, but it adds up over time- and the recovery after a workout is what will really affect your metabolism. I still have my favorite foods, drinks, and splurges, and I’m still heading in the direction towards my goals. I don’t feel like I miss out on anything by splurging smart and less often. 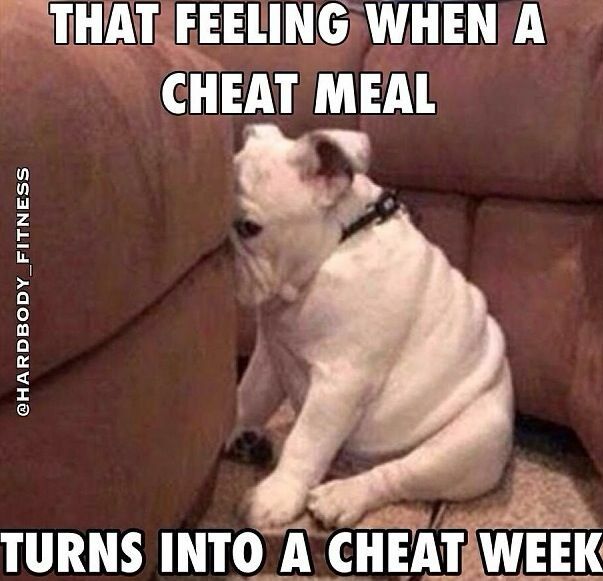 It’s important to try to make sure any “cheat” you have is as close to a workout as possible. Even if my splurge is pasta or ice cream, I make sure I eat plenty of protein too, for the sake of my blood sugar. Try to limit yourself to only one splurge a week. By “cheating” smart, you’ll minimize the damage it has on you, while still getting to have some Tonight Dough every now and then! Read my 13 Tips to Do Your Cheat Meal Right! I plan all my meals, even vegetarian, around a protein source. I try to ensure I have one palm-sized portion of protein with each meal, and my snacks are also protein-packed. I’ve realized if I’m not conscious of it, I’m not going to eat enough protein. 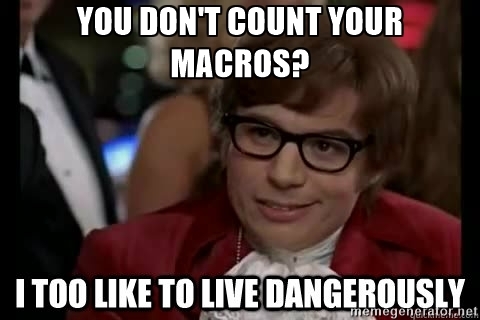 Macros matter for weight loss, but most of us don’t have the time or the desire to track them. By thinking about protein first, I help my body get the protein it needs to do its daily tasks, and rebuild the muscle mentioned in tip #1. Bonus points: it also helps keep you full longer! Even I need people to check in with when I’m just not feeling it. Publicly committing to a goal and checking in on my progress throughout the week has been so helpful for me as well as a lot of my Fit Tutor members. Research shows you’re much more likely to quit a fitness routine if you don’t have accountability. If I’m slacking, I set a consequence. Lately it’s been something like this: “If I’m under 90% of my goals, I’ll give you $10,” but I’ve set a tougher consequence in the past. Sometimes dessert after a long day seems well worth $10, but not quite $50. 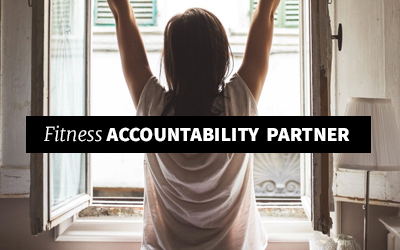 I know myself, and I know being accountable- although annoying at times- helps me stay on track! 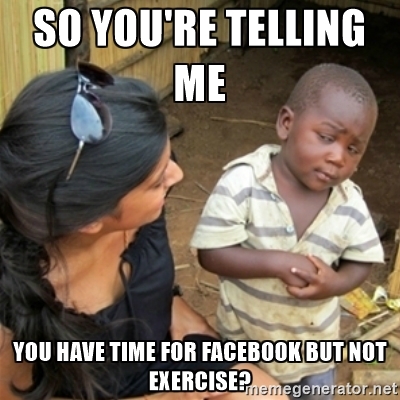 Read more about Workout Accountability! A habit chart is a game changer, because you can’t argue or excuse your way around data. 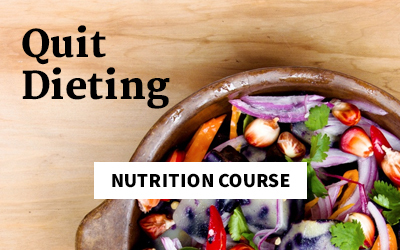 I’ve included these all throughout my nutrition course and make them frequently for Fit Tutor members. If you’re a list person, you’ve got to try this. Just write out your habits on a weekly calendar, and put a check mark each time you complete them. Block out certain days for habits you won’t do everyday, for example working out only 4 times per week. Divide your number of checks earned by the number possible to get your percentage of success. This is a great way to pinpoint your struggles and get an extremely honest look at your behavior. It also gets you an exact percentage of your adherence! Things get real, fast, and it helps you kick your excuses to the door! 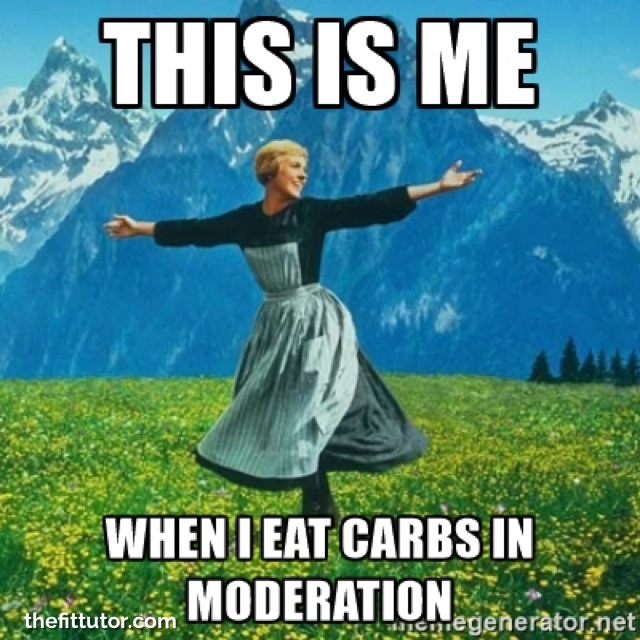 Unless you’re running marathons or dominating two-hour sweat sessions, you’re going to need to control your carbs if you want to lose weight. Eat only one cupped handful of carbs at each meal. If you want more, it has to be right after a workout. Fill up on protein and veggies. You can burn more calories in half the time doing a more intense cardio workout. I strongly dislike cardio, but taking into consideration the wise words from Kimmy Schmidt, I can do anything for 10 seconds…. except I expand that to 10 minutes. And then I say it one more time when I get to through the first 10. ;) With tabatas, abs and plyometric circuits, speed intervals, and even just the wonderful world of variety, you can get more bang for your buck (more calories burned, metabolism increase, more strength, etc) without slaving away on a treadmill or elliptical for hours. It’s not more cardio, it’s smarter cardio. Write that down. Now, if you enjoy your hour-long elliptical ride that’s great, but mix in some intervals to make it more effective! Check out The Fit Tutor Cardio Workouts (members only). Not a member? Start today for as little as $11.99/mo! There has to be a classier way of saying that, right? Every morning, I start my day off right by drinking lemon water and taking probiotics. Whether or not you feel like your gut or digestion have any problems, these habits will help. Lemon water can help stimulate your metabolism and promotes healthy digestion. Probiotics have been linked with numerous health benefits ranging from suppressing appetite to decreasing mood and anxiety disorders. Your gut is basically part of your brain, so treat it right. Don’t take for granted a healthy plumbing system- you will miss it dearly if it goes away. Taking care of your gut can be complicated, but we don’t need to overcomplicate anything unless you have a problem. Drink lemon water, take some probiotics. “Workout” is on my to-do list every single week day. I plan for it. I think about when and how I’ll make it happen: What can I move around? Can I beast a 45 minute booty workout or can I do one tabata and feel proud I squeezed it in? The things that don’t get accomplished on my to-do list are things that aren’t priorities for that day. Maybe I wanted to do them but it just didn’t work out. Exercise is vital to our health and shouldn’t be put off for when it’s convenient. It should be a top priority. It’s one of the easiest thing we can do to not only help us look and feel better, but to significantly reduce our disease risk and extend and improve our quality of life! Let’s face it. If you prioritize it, you’ll make it happen. End of story. In a crazy-busy season of life? Maybe this will help you squeeze it in! Practicing mindfulness with the Calm App has been huge for me. Sneaking away for 10 minutes to teach myself how to be present, to calm down, refocus, and recharge has been really helpful for my overall stress. I’ve also learned a lot of things I can apply when I’m feeling stressed or overwhelmed that help me in the moment. This has to be a priority. I don’t ever “have time” to do a 10 minute mindfulness session on the app. However, I schedule it, use accountability if needed, and force it into a top priority. Conquering chronic stress won’t happen overnight, but planning mini battles throughout your week to beat it will really help! Something else that’s been crucial to my de-stressing sanity has been to declutter and downsize: get rid of crap we don’t need so I have less to take care of. Your things really do own you, whether you’re willing to admit it or not. I’ve also been working to cut things out of my life that are “activity” and not purposeful. Everyone I meet is busy and stressed, and this should not be the norm. Cutting back takes effort, but it saves you stress in the long run. I’ve read from so many sources that if you’re stress isn’t under control, you can stop wondering why you aren’t losing weight. Your hormones will thank you for de-stressing by no longer sabotaging your weight loss efforts. Isn’t that so much better than a thank you card? 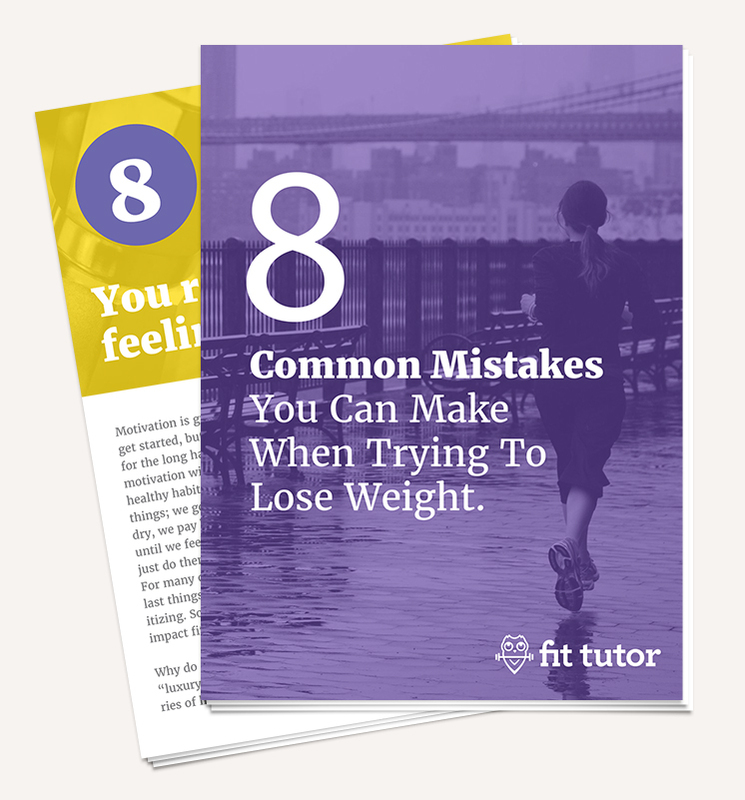 I almost didn’t include this one because it’s not my strong suit… but I worked out with a Fit Tutor member yesterday who has achieved amazing weight loss because she plans and preps (and makes her workouts happen!). My bottom line is to think ahead for grocery shopping: what days will on-the-go snacks be needed? When will we need leftovers? What are some easy healthy dinners? What crockpot meals will help on our busy nights? Like I said, I’m no pro, but even a rough idea for meals for the week and ordering my groceries saves our waistlines. We go out when we don’t have food or a plan, which causes us to consume lower quality foods, more calories, and bigger portions. What has helped you that you would add to this list? Please share in the comments! Don’t go it alone. The Fit Tutor can help you with all of these, in one way or another! This site specializes in online workouts (#1 & 7), nutrition coaching (# 2, 3, 5, 6, & 8), and accountability (#4, 5, 9, 10, & 11). If you feel overwhelmed or not sure where to start, reach out to me! 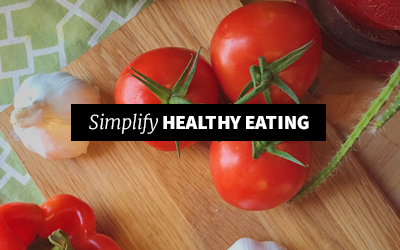 The fact is, there’s a lot of health and nutrition advice out there to wade through. For most people it gets confusing quickly, and you don’t have the time or effort it takes to separate fact from fiction. Friends, these tips will work. There’s so much more to your health than a quick-fix that will leave you in worse shape than it found you… I believe that your health and confidence matter, and you deserve to be healthy and feel good. Start one today, and reach out if you need some virtual applause or guidance. You can do it- you’re worth it! Don’t forget to pin this so you can come back to it and keep working through these tips! Great tips! It is helpful for weight loss. Keep sharing.